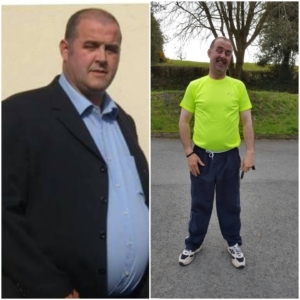 July 2016 I had my 1st training session with go fitness I weighed 16 st 8lbs and I was very overweight, unfit and lacking confidence. In the 1st few weeks I wasn’t sure that I could continue training but as week passed with Rebecca’s training techniques, dietary plans and motivation I started to lose weight. Initially I just wanted to lose 1 stone in weight but as each week progressed I found myself getting stronger, faster and fitter and with Rebecca’s encouragement and help I began to push myself. I noticed my confidence growing and my fitness levels rising, I began to notice a major change in my physique and started to become increasingly confident in how i looked and felt. Rebecca encouraged me every step of the way, each training session was different. Rebecca as a personal trainer motivated me and began to push me to my limits and now I have become a different person, I feel better about myself and it is all thanks to Rebecca and go fitness. I now weigh 13stone 3lbs and have a completely different outlook on life. 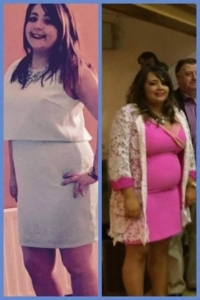 Absolutely delighted started with Go fitness Rebecca Irwin 6 weeks ago and have lost 11 1/2pound would highly recommend Rebecca to anyone great girl really gets you motivated and her classes are such fun thanks so much Rebecca and cant wait to see even more results you wee gem. Hi Rebecca, Just want to say a big thank-you! I have never attended any type of gym before and to be honest I was quite nervous about my first class! However, upon meeting you I totally felt comfortable and that I wasn’t being judged on what I could or could not do! Your motivation and encouragement has kept me returning week after week – so you must be doing something right! !lol In fact, I never thought I would actually enjoy it, but I look forward to seeing my improvements every week. I feel you have got the balance just right – knowing how far I can go and how far you can push me to go!!! Great personal trainer who gets to know your fitness level and pushes you to your limits to reach your goals!! ? Highly recommend ?